caught between the stability of being grounded and longing to be near water. the creation and disruption of borders. seeing more cement than soil, but knowing that soil is underneath. the conversation between land and language. It is within earth, body, and language. Inland is within. Other forms of writing and creative work will be accepted. If you are unsure about submissions, please do not hesitate to contact us for clarification. Submissions must be no longer than five standard pages, preferably fewer. The subject line for submission should be “Submission from [your name]” and in the email you should include your major, year of study, and the name you would like to be published under. 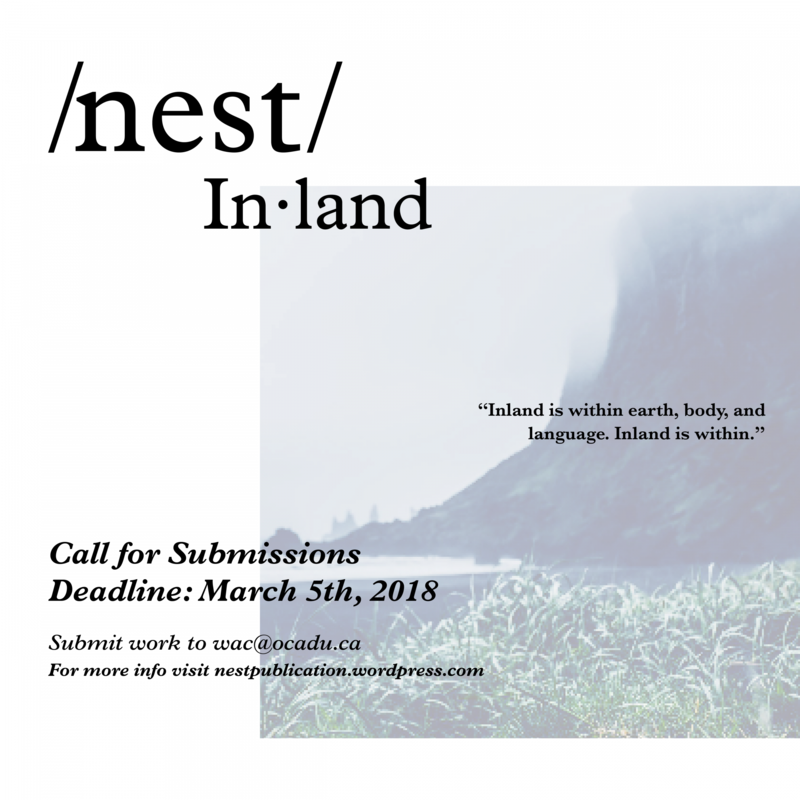 The deadline for submissions is March 5. 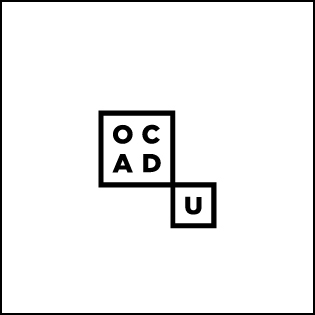 If you have any questions about submissions or about the publication, please reach out to us at wac@ocadu.ca. Check nestpublication.wordpress.com for updates. The editorial board acknowledges the ancestral and traditional territories of the Mississaugas of the New Credit, the Haudenosaunee, the Anishinaabe and the Huron-Wendat, who are the original owners and custodians of the land on which we stand.